Da soll noch jemand duchblicken. Die Tage hätte ich fasst die neuen Deutschlandtermine für Singam 3 bekannt gegeben und nun sehe ich bei Tamilkino.de das der 26.01.17 wohl auch hinfällig ist. Ich werde aus den NEWS nicht ganz schlau aber die momentanen Unruhen (Jallikattu Proteste) scheinen einen Rolle zu spielen. Neuer Termin scheint noch nicht fest zustehen obwohl bei WIKI etwas vom 03.02.17 zu lesen ist. Andere Quellen wiederum berichten von einem Gerücht und dementieren die Verschiebung. Mir kanns eigentlich egal sein da Kino so fern. Desweiteren gabs wohl einen Titel Umbenennung. The exact reason for this title change is yet-to-be-revealed. However, it has been learned from the Tamil film industry sources that the makers changed the title for the purpose of tax exemption. There are also reports that the makers changed the title to Cingam 3 due to SUN TV’s issue with the word ‘Singam’ in the title. Neuesten Medienberichten zufolge habe, Singam-Regisseur, Hari in seinem letzten Interview mit einer tamilischen Tageszeitung bestätigte dass er sich, nach den Dreharbeiten zu "Saamy Square" (201x), erneut mit Suriya zusammen tun wird. Und auch Suriya selbst habe bereits Anfang diesen Jahres ein Projekt mit Hari und Regisseur Vikram Kumar bestätigt. Es handele sich dabei aber um kein weiteres Singam-Projekt. Die Dreharbeiten werde vorraussichtlich nächstes Jahr beginnen da Suriya bereits mit zwei anderen Projekten beschäftigt ist. Director Hari is best known for helming the Singam franchise with Suriya. Even though the duo has worked together on few other occasions, it was while working on this series that they clicked as a pair. Last seen working together in S3 (the third and final installment in the Singam franchise), Suriya and Hari are expected to reunite soon. In his latest interview to a Tamil daily, Hari confirmed that he will team up with Suriya after wrapping up Saamy Square with Vikram. Earlier this year, Suriya confirmed he has a project each with Hari and director Vikram Kumar in his kitty. “This won’t be another Singam project. I usually team up with Hari sir once in two or three years. I work with him on projects that help me expand my market. I still remember the time when we didn’t have the budget to do 7 am Arivu as nobody was willing to bet on the film. A couple of months later, Singam first part released and turned out to be a blockbuster. The success of Singam earned me the license to do 7 am Arivu. I need to do a film like Singam once in a while to experiment with projects such as 24,” Suriya said while promoting his last outing Thaana Serntha Kootam. Suriya’s project with Hari is likely to take off next year as the actor already has two other films in his kitty. After wrapping up NGK with Selvaraghavan, Suriya will team up with KV Anand. He also has a film with Saala Khadoos director Sudha Kongara in his kitty. Watch Suriya, Karthi, Venkat Prabhu, Premgi & Kharesma create magic in this peppy song from PARTY - Cha Cha Charey.. Party is an upcoming Multi-starrer Tamil movie Directed by Venkat Prabhu Starring Jai, Shiva, Sathyaraj, Jayaram, Ramya Krishnan, Regina Cassandra, Sanchita Shetty, Nivetha Pethuraj, Nasser, Shaam and Chandran among others. Music by Premgi Amaren and Produced by T Siva under the banner Amma Creations. Vor kurzem hat der Schauspieler eine Kampagne gegen Selbstmord unterstützt, indem er nachfolgendes Musikvideo mit seiner Fangemeinde teilte. Das Lied ist Teil der Initiative "I Killed Suicide" der Wish A Smile Foundation. Der Schauspieler sprach dem Projekt-Team sein Lob aus. Da die board exams schnell näher rückten, stehen viele Studenten unter übermäßigem Stress und die Selbstmordpräventionshilfen werden mit Anrufen überschwemmt. 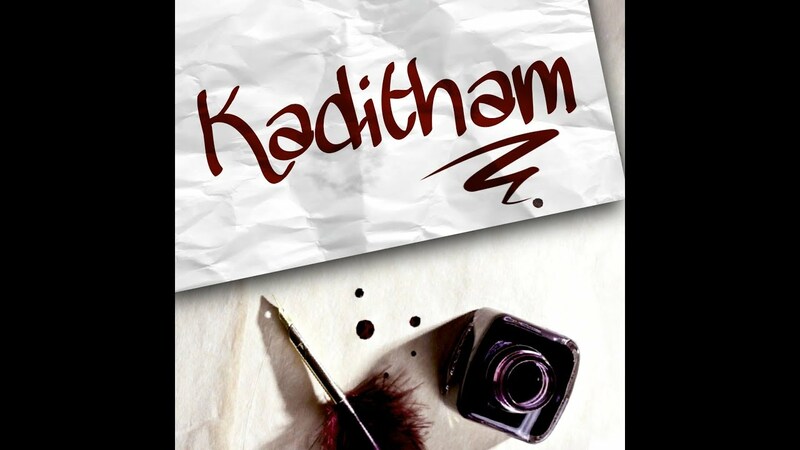 Proud to be a part n launch this music video, #Kaditham.Its a timely message by #IKilledSuicide, an anti-suicide movement by Wish A Smile Foundation. ....trägt ab/seit heute den Titel, "Soorarai Pottru"